It's the only watch you connect and build yourself! Start with the black, blue, white and translucent green pieces and build the watchband in any pattern and size you want. Add the studded bezel and minifigure, and you're ready to tell time the LEGO® Star Wars™ way! 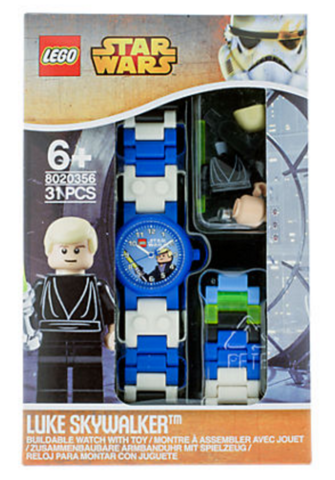 Includes a Luke Skywalker™ minifigure, with lightsaber! Watch face features an image of Luke Skywalker on a Star Wars background! 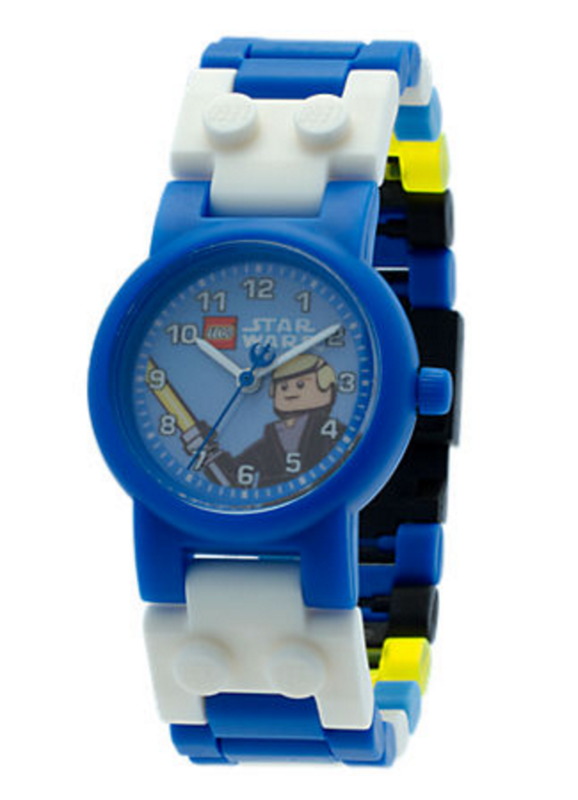 LEGO ClicTime watches are tested to ISO standard 2281 to a static depth of 50m. This means that our watches are splash proof. Watch face measures 1" (2.5cm) wide.